What are Education Tax Credits and Deductions? 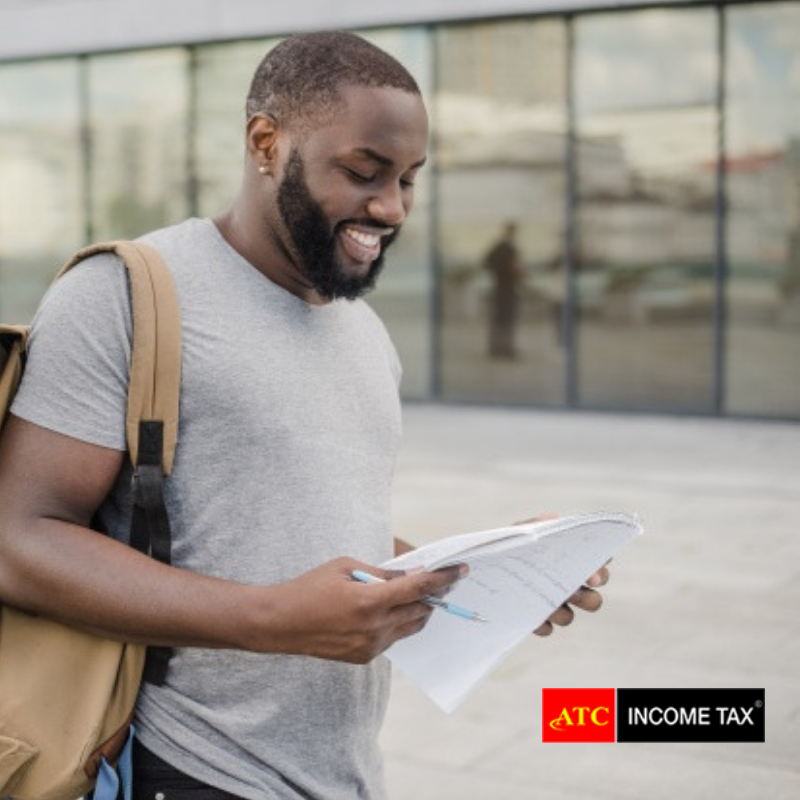 Tax credits include: The American Opportunity Tax Credit (AOC), which is a refundable credit, is for undergraduate students who are working towards a degree. The Lifetime Learning Credit, however, is non-refundable and either undergraduate or graduate students may be eligible. Both are a dollar-for-dollar reduction of the taxes you owe on your return but the AOC is fully refundable if you have zero tax due. Tax deductions include: The Tuition and Fees Deduction is for students who paid tuition and other fees required to enroll at an eligible intuition. The other deduction, Student Loan Interest Deduction, is allowed for any interest paid on student loans. Both reduce your taxable income and help offset any taxes you might owe. You’ve made the right choice by investing in your or your child’s future! Let ATC Tax Pros guide you through the steps of which credit or deduction is best for you. Can you be claimed by someone as a dependent on their return? Are you claiming the dependent on your tax return? Is the student a degree or other credential candidate? Is the student enrolled at least half-time during the academic period? Is the student taking a course to acquire or improve job skills? Has the student completed the first 4 years of undergraduate college credits? Has the student used American Opportunity Credit 4 times in any prior years? Did you pay student loan interest during the year? If you file Married Filing Separately, you will not be eligible to claim any credits. If you’re convicted of a felony drug charge, cannot claim the American Opportunity Credit. For AOTC only, qualified education expenses include books, supplies and equipment the student needed for a course of study, even if not paid directly to the school. Education expenses cannot be paid with tax-free funds. Any expenses paid with tax-free grants, scholarships and fellowships and other tax-free education help will reduce the amount of education expenses paid. Student must be enrolled in an eligible educational institution and have qualified tuition & other expenses that were paid out of pocket or via student loans. Payment must have been paid in an academic period that starts during the tax year or the first three months of the next tax year.